The choice of perfume can tell a lot about the person who wears it. So, it's highly important to pick the fragrance that suits you perfectly. 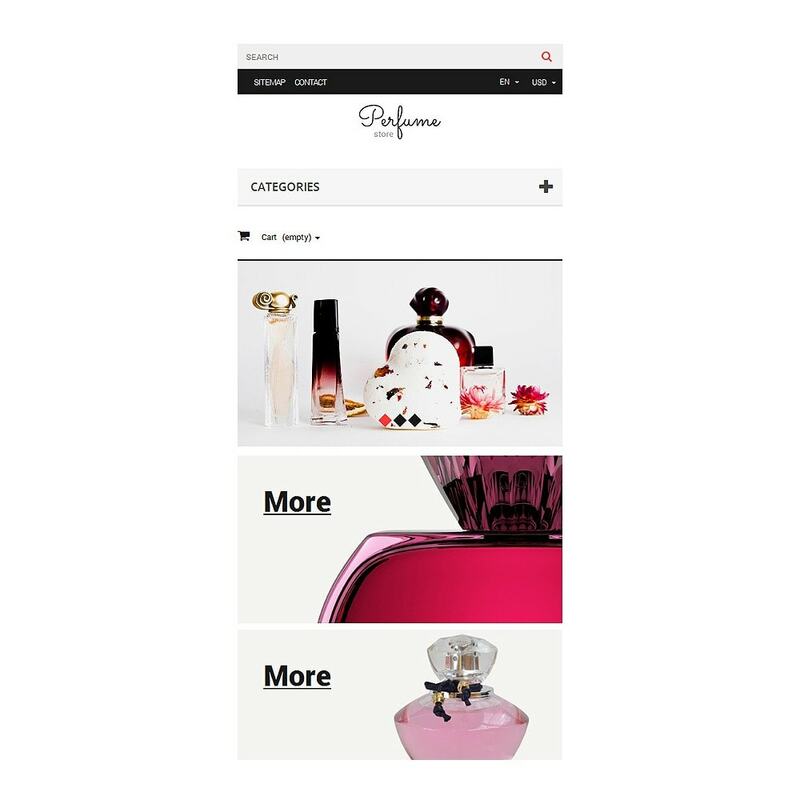 It's easy to get lost in the wide variety of aromas available on the market, however you can smoothen things down for your audience with the help of this theme. 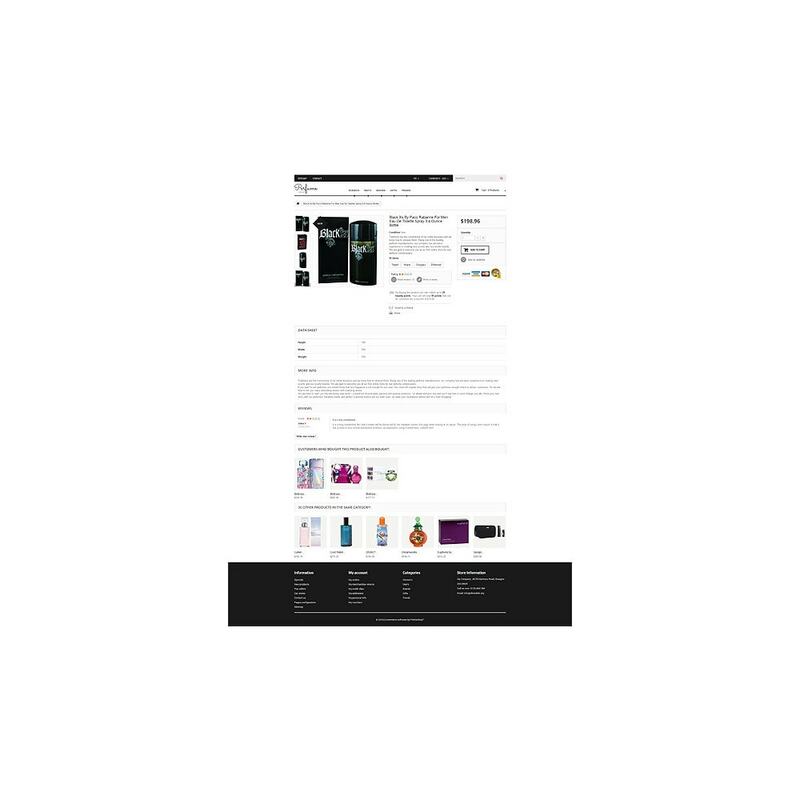 Its multi level top menu and the list of perfume categories moved to the left make it easier to filter products the way you wish. The classic black and white color scheme with stylish pink accents helps highlighting information that matters. 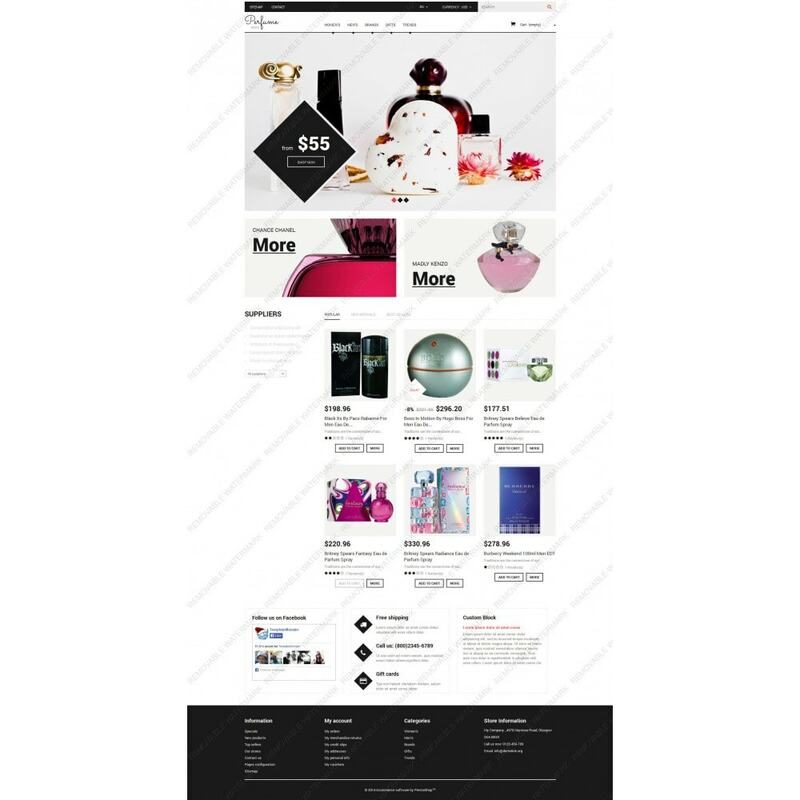 The theme comes packed with two integrated shopping carts the full width and minimized one, which allows previewing the number of items in the basket. 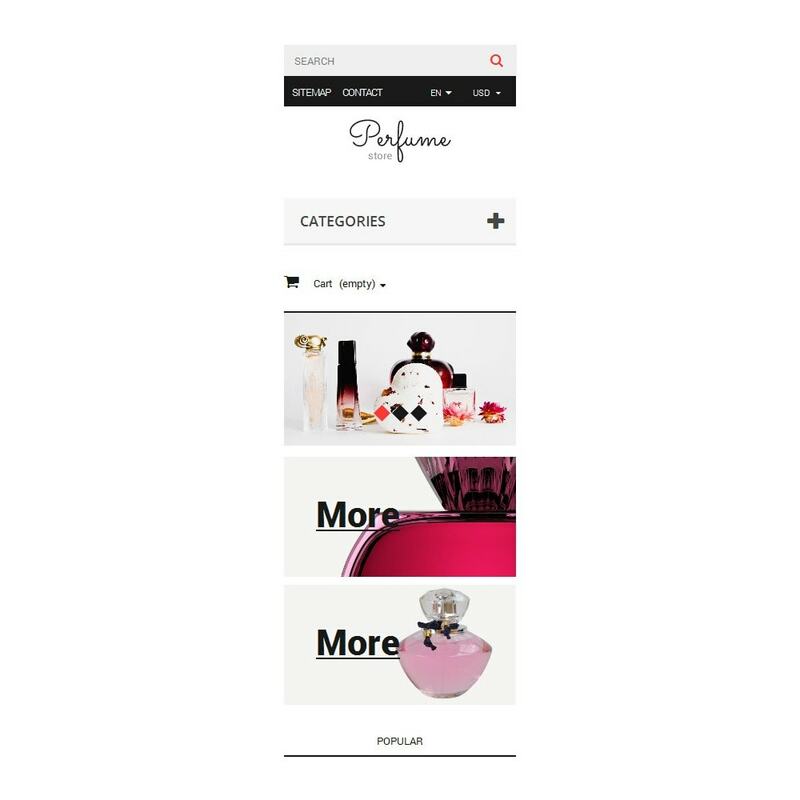 Let both male and female shoppers feel more confident by buying the right perfume from you. 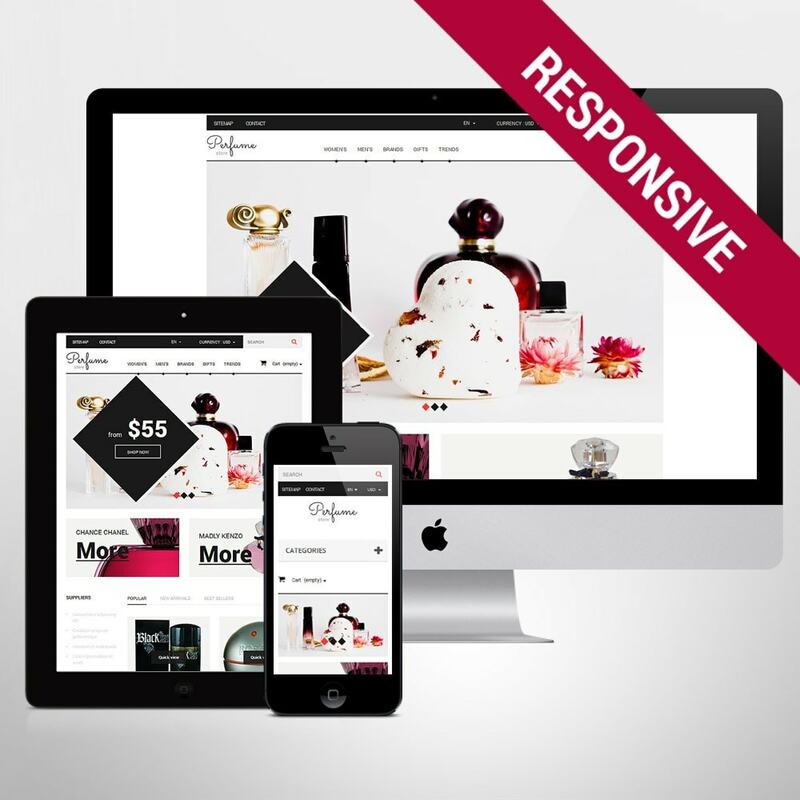 The theme will be the perfect match for beauty, fashion, gifts, books, and family stores.